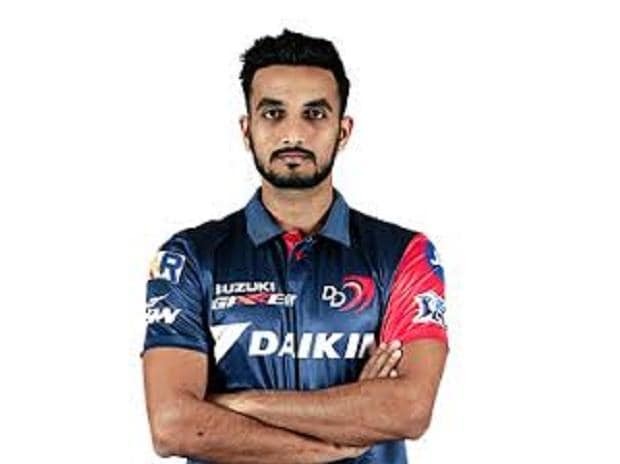 Delhi Capitals seamer Harshal Patel was ruled out of the remainder of the IPL owing to a fracture in his right hand, coach Ricky Ponting said here Thursday. "He has suffered a fracture in his right hand in the game against Kings XI (on April 1). It took us a few days to actually get to the bottom of that fracture. He's had some X-Rays. He's been ruled out for three-four weeks which basically ruled him out of the tournament. We need to find a replacement," Ponting said at the pre-match conference. Patel has featured in two out of the six games for the Delhi-based outfit this season, picking up 2/40 in the tied game against the Kolkata Knight Riders, which Delhi won in the super over. He had conceded 0/37 in the 14-run dramatic loss against the Kings XI Punjab in Mohali. Ponting further said left-handed top order batsman Manjot Kalra also has a niggle in his right arm and thus has to clear a fitness test. "We need him to pass a full fitness test today. So that's the reason we've got as many guys here on trial." The Shreyas Iyer-led side has had a mixed season so far. In six matches that Delhi Capitals have played, they have won three matches and have lost three matches. They will take on KKR on Friday.